There are many health awareness days, weeks and months in Canada each year. Numerous health charities use these events to raise awareness, share information and help the majority of Canadians who are likely to be affected by chronic disease or major illness during their lifetime. February is typically heart and stroke month. A time to bring attention to the importance of cardiovascular health and what can be done to reduce the risk of heart disease that affects approximately 2.4 million Canadian adults – many who enjoy the benefits of recreation facilities. It is also a good time for facility management to confirm that all Automated External Defibrillators (AEDs) are accessible to the public and in proper working order. 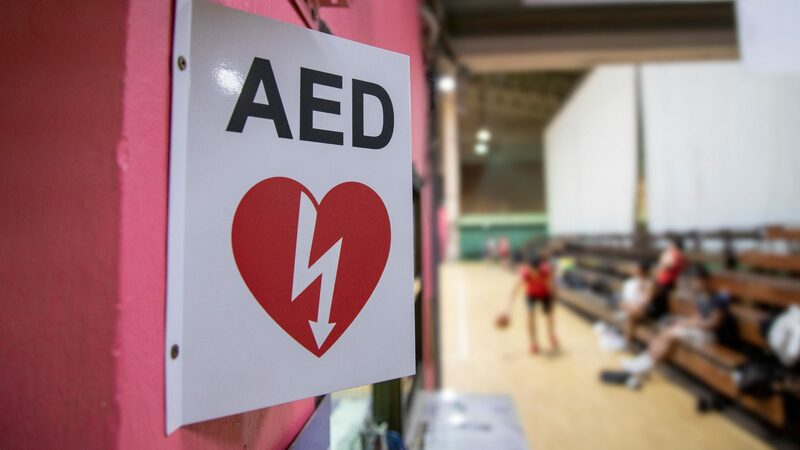 The installation of AEDs in Nova Scotia’s recreation facilities is a long-term commitment by building owners, government, local EMS, local community service groups, and facility users to ensure AEDs are accessible, in working order and used without liability. The Recreation Facility Association of Nova Scotia supports facilities with financial aid to help meet the commitment of having AED’s in all major sport and recreation facilities through our Automated External Defibrillator (AED) Grant Program. This grant program is funded by the Department of Communities, Culture and Heritage. Program details can be found here. Building management is reminded that visible signage is essential for AED awareness and all who enter into our recreation facilities. Other forms of awareness that include, but not be limited to, facility print materials, special event communications, rental contracts and audio messages. These are important tools to ensure that users and visitors, who are not always familiar with the facilities layout, are aware that these life-saving devices are on site and accessible. The RFANS also reminds members that like all facility equipment, AEDs have a life-cycle. Planning for maintenance and replacement should be identified in the recreation facility asset management plan. Thanks to ORFA for providing resources on this topic and the reminder of the importance of this initiative.